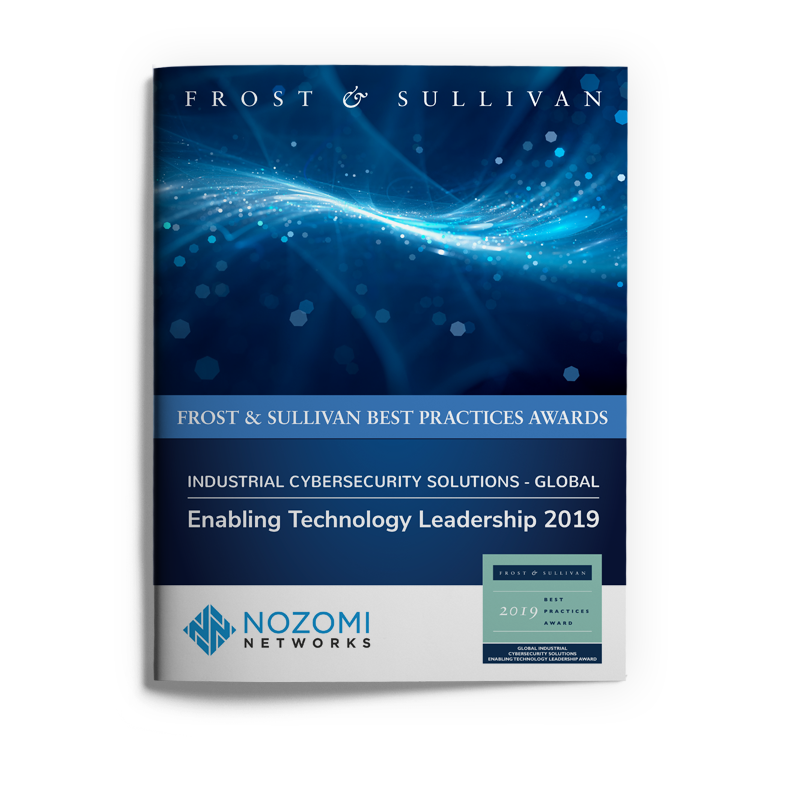 We are honored to announce that Frost & Sullivan has recognized Nozomi Networks as its 2019 Global Enabling Technology Leader in Industrial Cyber Security. Each year, the research firm presents this award to the company it deems has demonstrated “best-in-class” understanding of market demand, brand building, and competitor differentiation. Enabling Technology Leadership Award winners are independently evaluated for two key factors – Technology Leverage and Customer Impact. 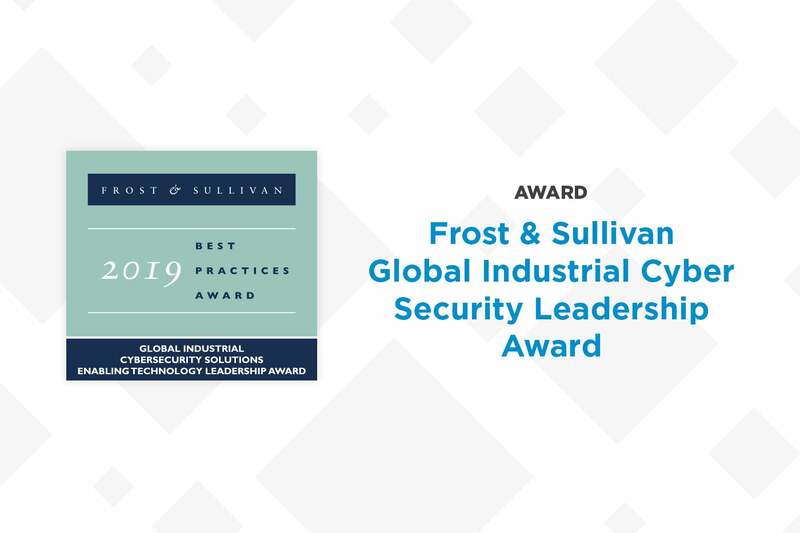 Nozomi Networks has received the 2019 Global Enabling Technology Leader in Industrial Cyber Security award from Frost & Sullivan. Frost & Sullivan Analyst Danielle VanZandt has followed Nozomi Networks, our competitors and the broader ICS cyber security market closely over the last few years. With this award, the firm has recognized us not only for our cyber security technology leadership, but for the company we keep with respect to partners and customers. “As the industrial Internet of Things continues to grow, so do cyber security threats, requiring critical infrastructure organizations to secure their industrial control system (ICS) adequately. 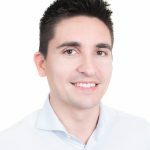 Nozomi Networks provides clients with its disruptive artificial intelligence-enabled ICS cyber security solutions that offer revolutionary operational visibility and secure remote access. The criteria for this award represent many of the pillars upon which our company was founded, and acknowledges our early, strong and growing leadership in the market. Most importantly to me, it validates that our most important goal – putting customers first, is paying off – not just for Nozomi Networks, but also for the long-term security and safety of critical infrastructure and industrial networks around the world. In 2013, a small team of ‘Nozomiers’ working out of a tiny office in Mendrisio, Switzerland launched a company with an OT-focused approach, challenging the IT-driven norm. Today, our team has grown to almost 100 deeply dedicated people, working side-by-side with partners and customers around the world on some of the toughest challenges in ICS cyber security. We now provide deep real-time network visibility and ICS cyber security monitoring to more than 1,000 installations across five continents. We have discovered and blocked hundreds of threats; and, working intimately with customers and partners, made dozens of responsible disclosures, including seven ICS certs. This is only the beginning. There is still much more to do. However, receiving this award today seems like a good time to reflect on how far we’ve come alongside the customers and partners who are truly leading the industry. To them all, we say ‘Thank You’. We are glad you’ve joined us on this journey to create a brighter future for OT and cyber security.